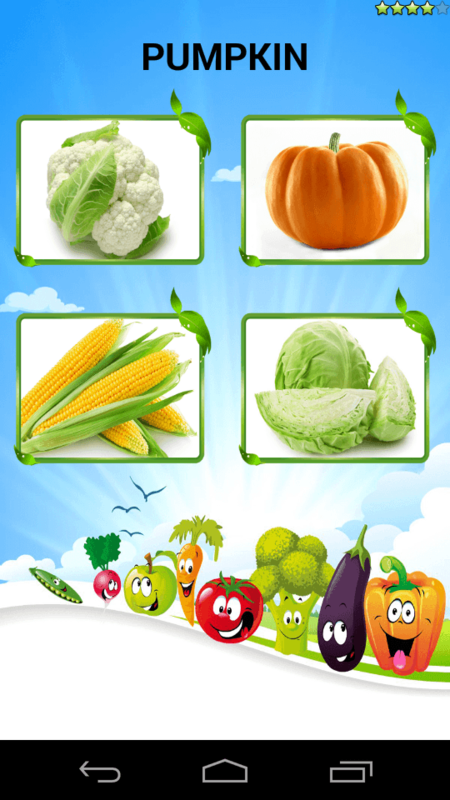 'Learning Vegetables For Kids' is a free educational application with interactive and colorful way of learning vegetable names. It also helps them build their vocabulary and learn spellings. It is also a great tool to sharpen their memory and grasping ability. 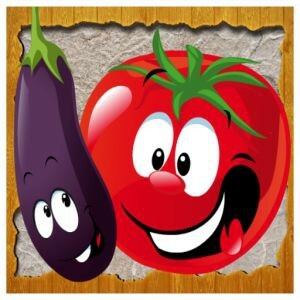 It has fun and learn elements which take kids away from the routine book exercise and keeps them engrossed to learn more. 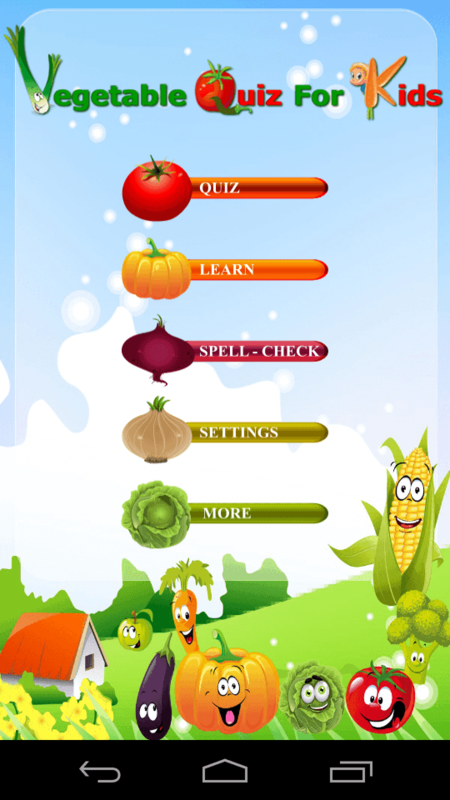 With its quiz feature, it also encourages children to better their performance every time. 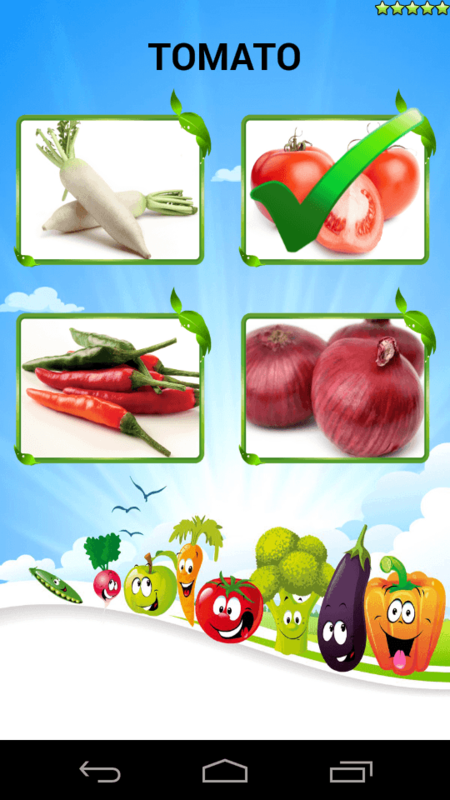 This app is designed for kids ageing 1-7 years.